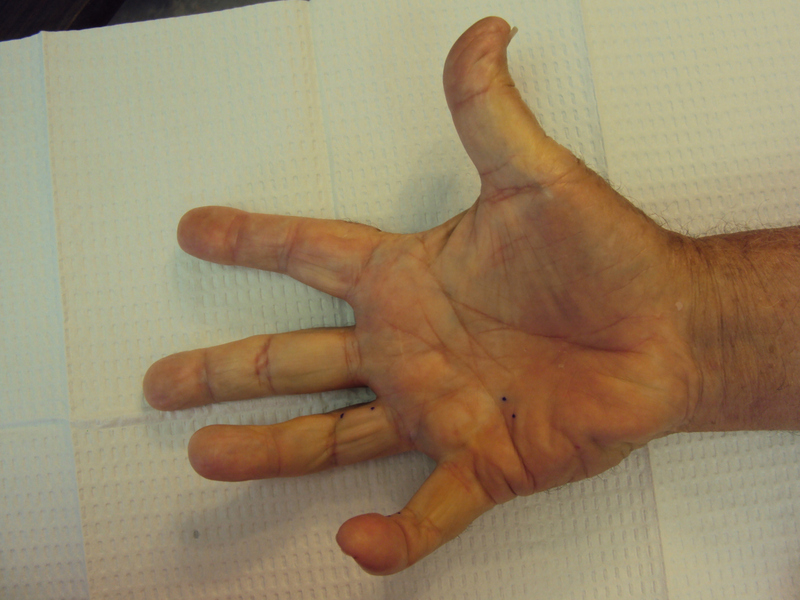 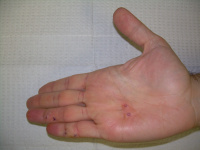 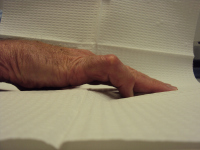 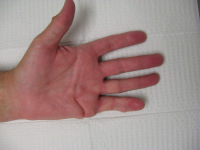 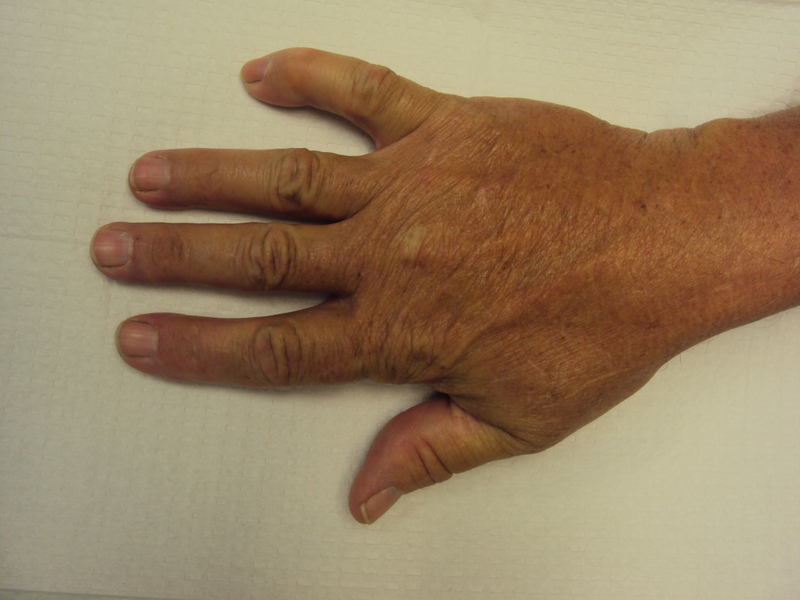 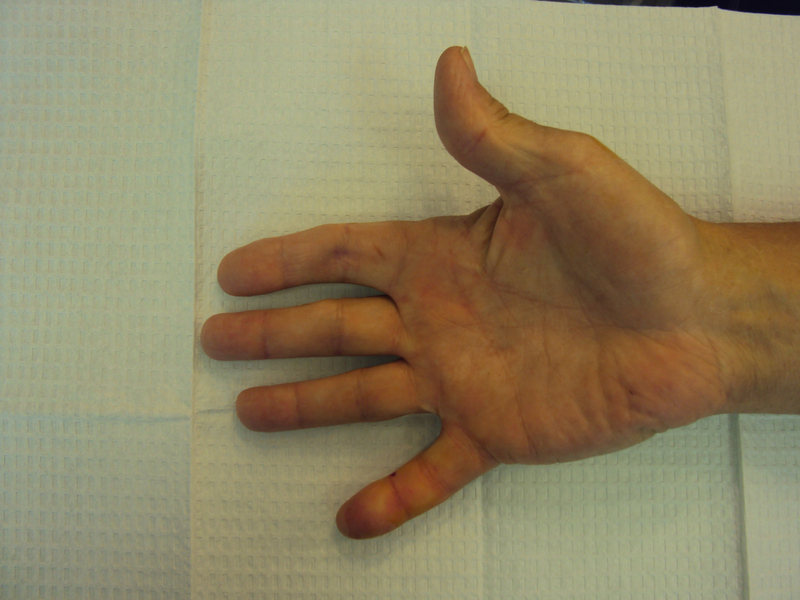 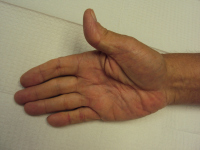 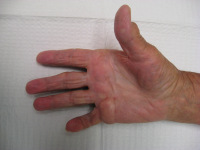 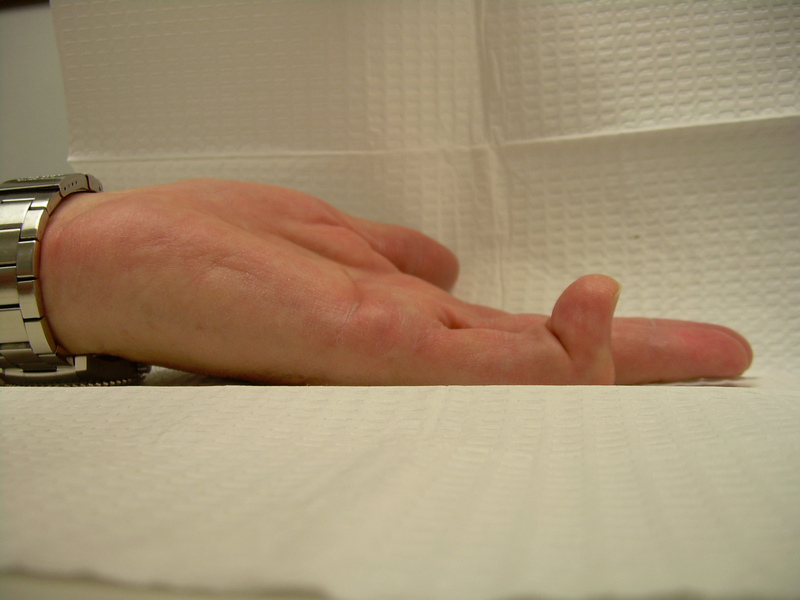 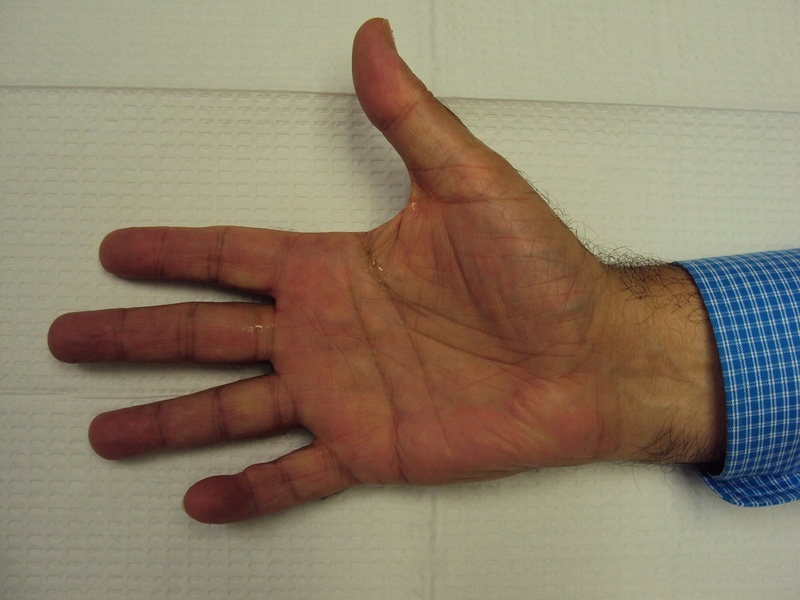 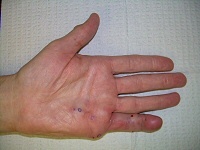 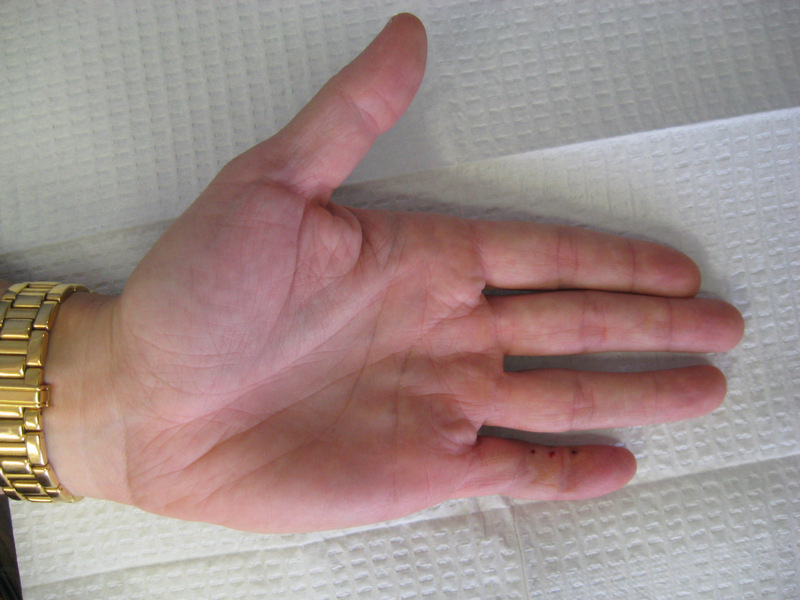 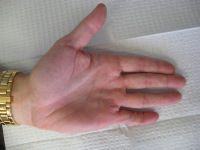 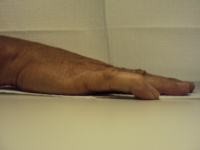 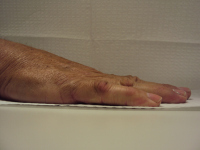 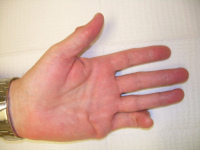 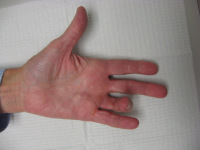 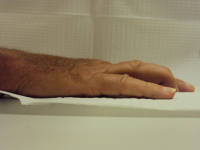 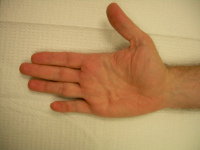 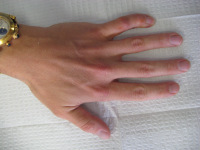 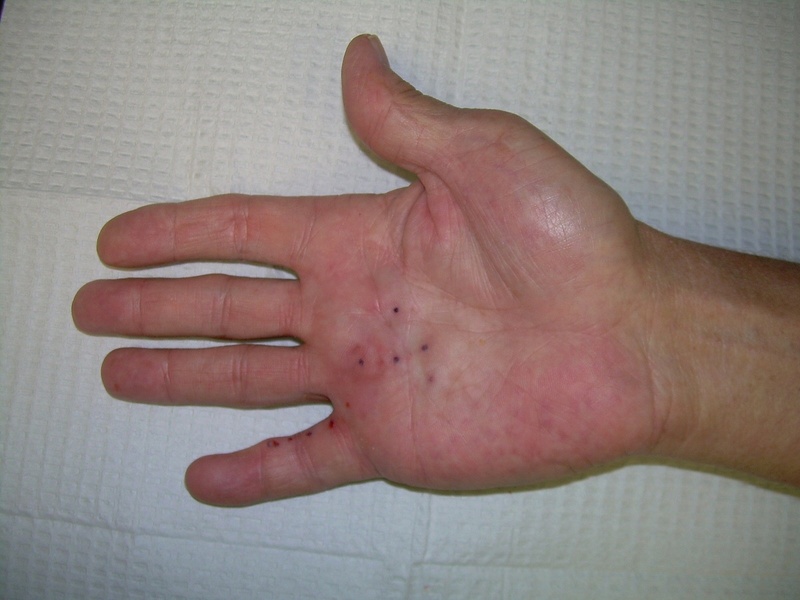 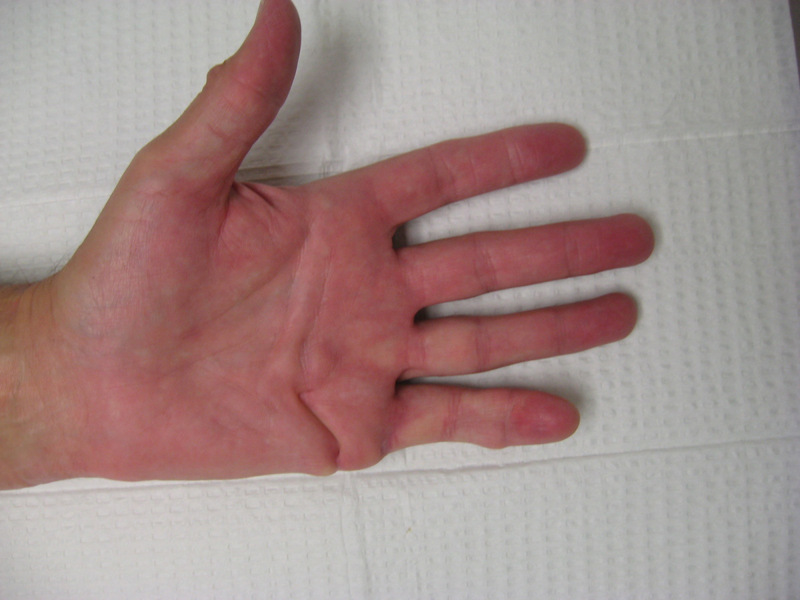 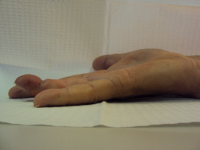 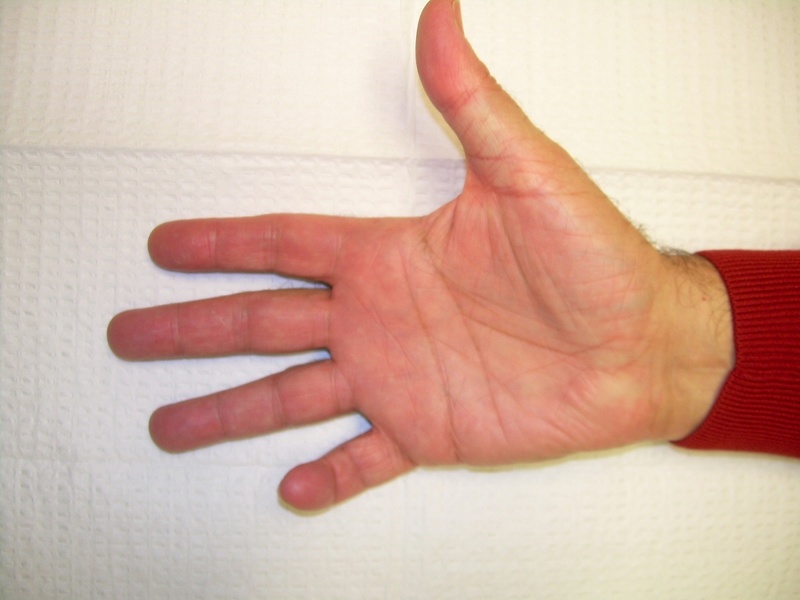 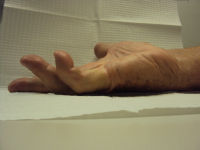 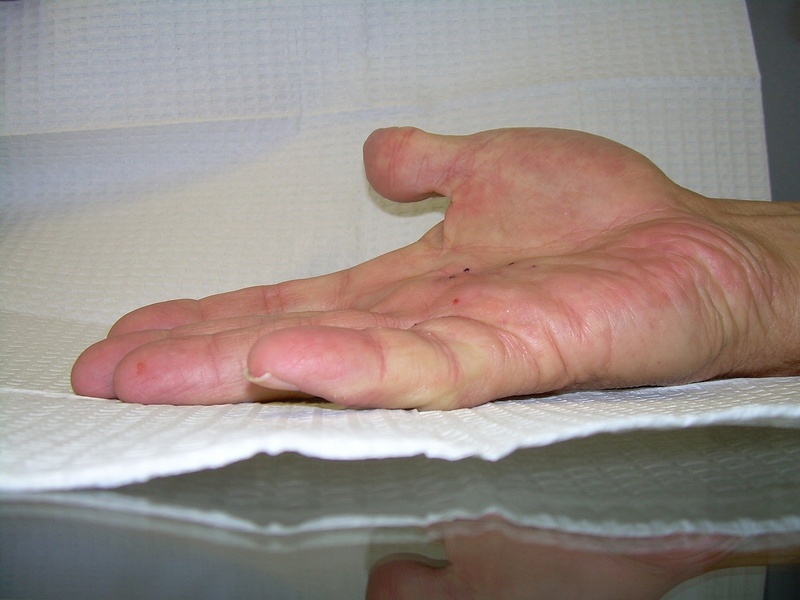 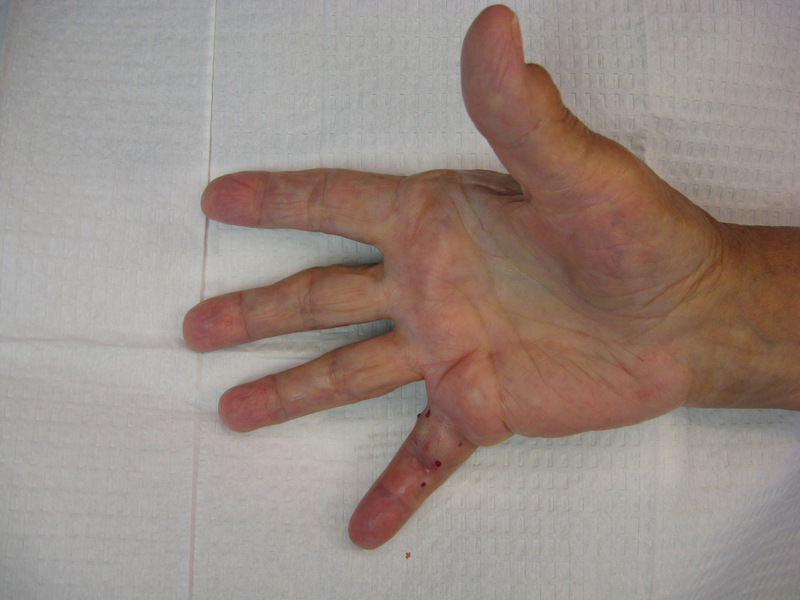 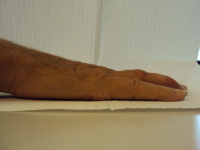 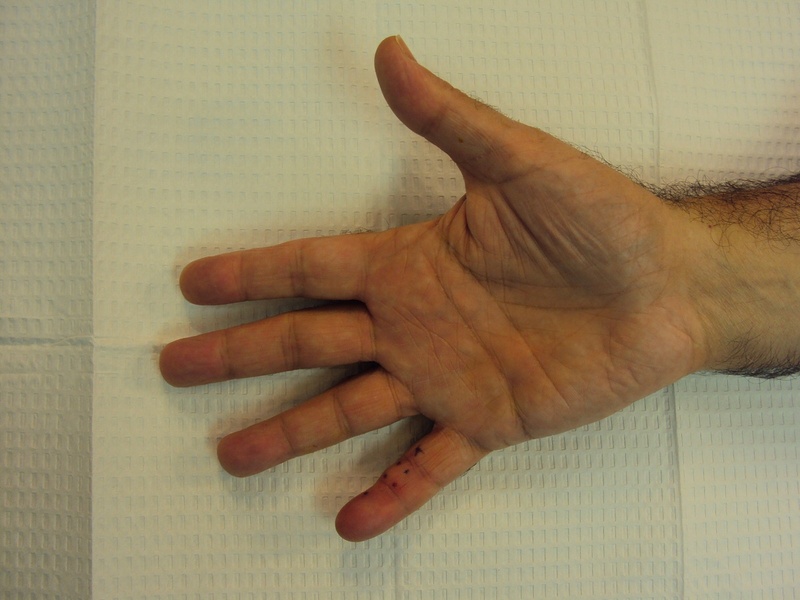 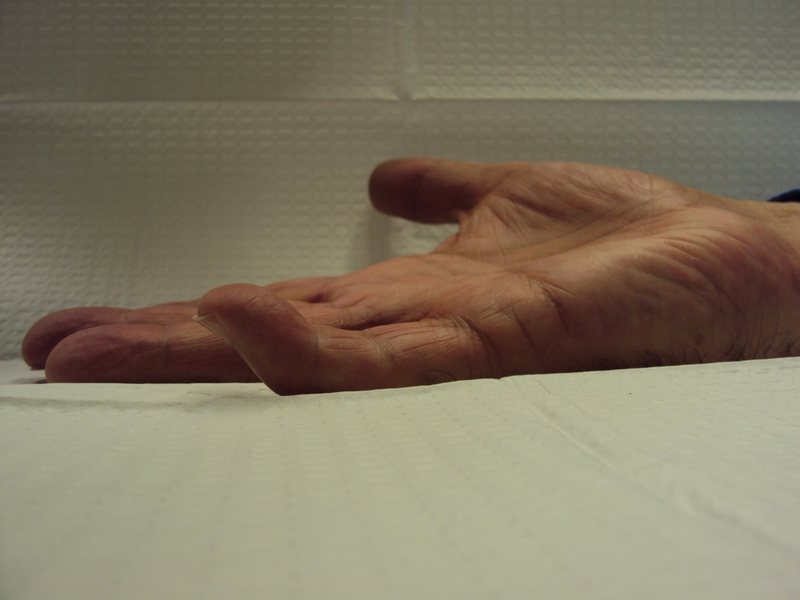 Dupuytren contracture usually involves the metacarpophalangeal and proximal interphalangeal joints, but occasionally affects the distal interphalangeal joints. 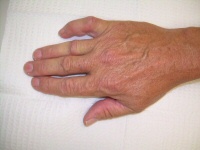 This is usually accompanied by proximal interphalangeal joint involvement. 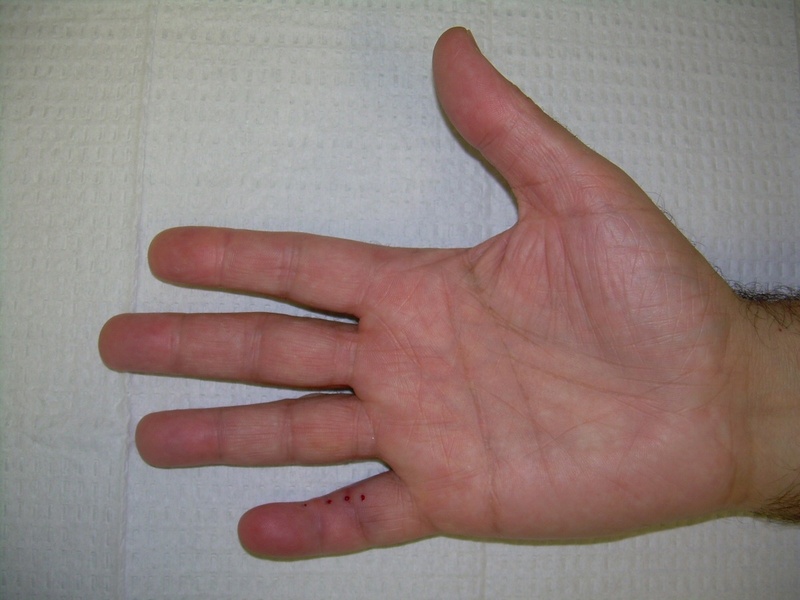 This is almost always a lateral rather than a central cord, and may present as a spiral cord, the neurovascular bundle superficial just proximal to the distal interphalangeal joint. 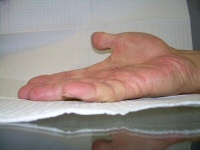 The functional impact of this is that it contributes to the fingertip catching on things like a hook. 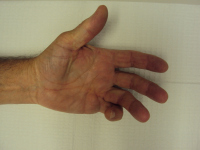 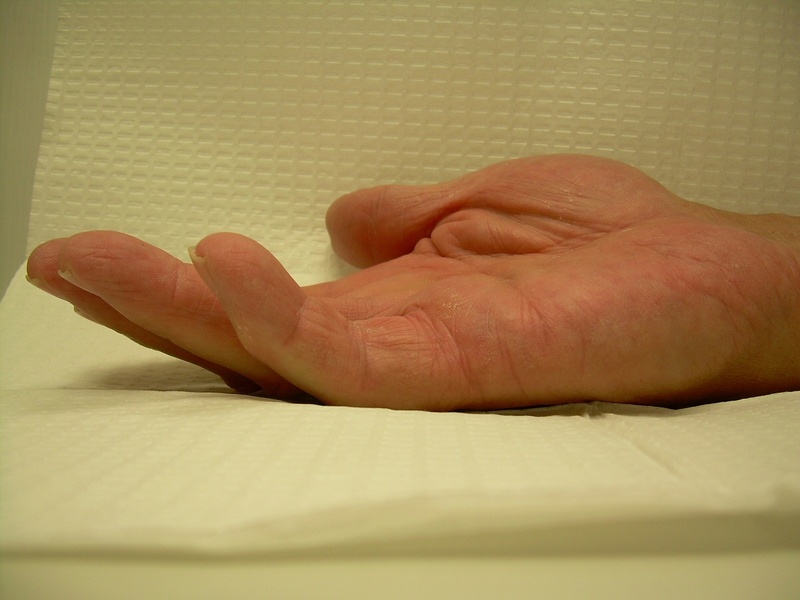 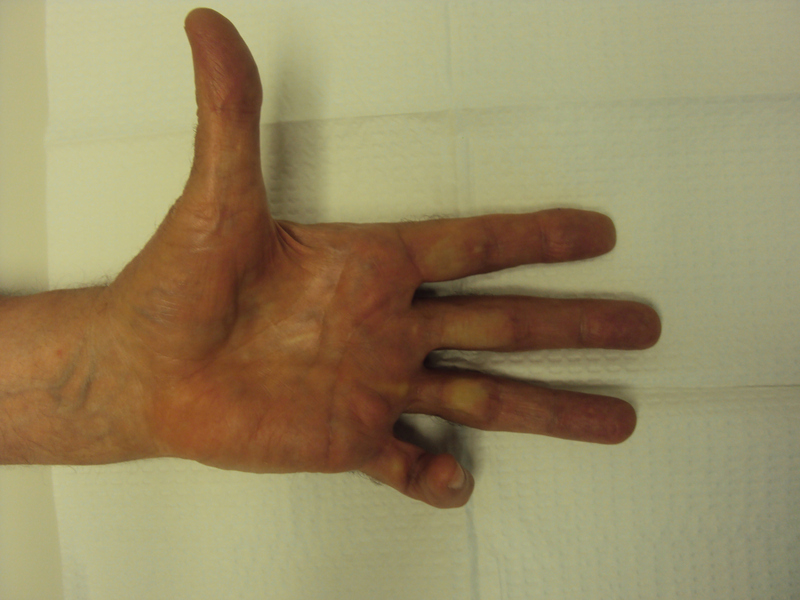 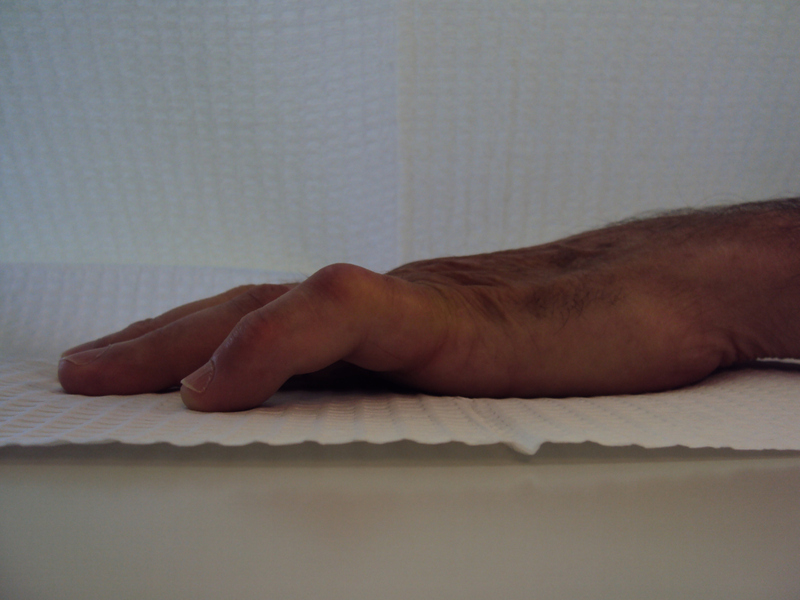 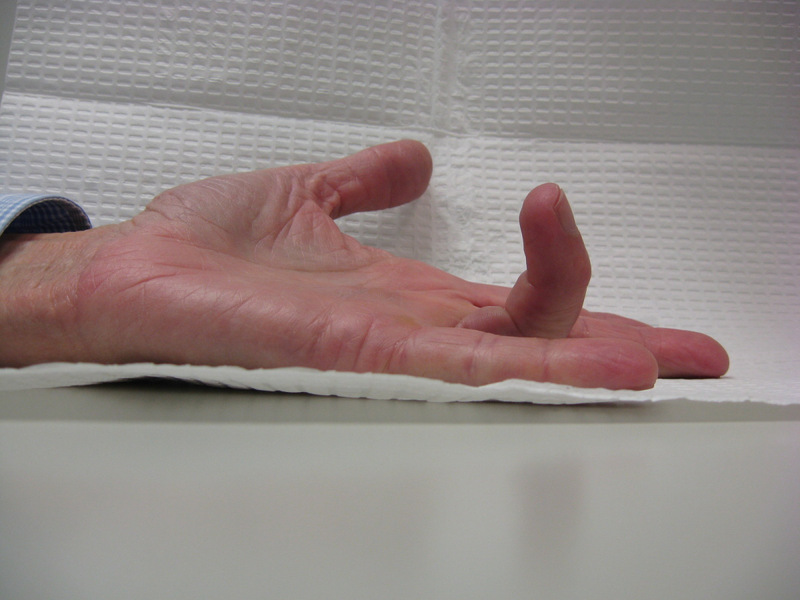 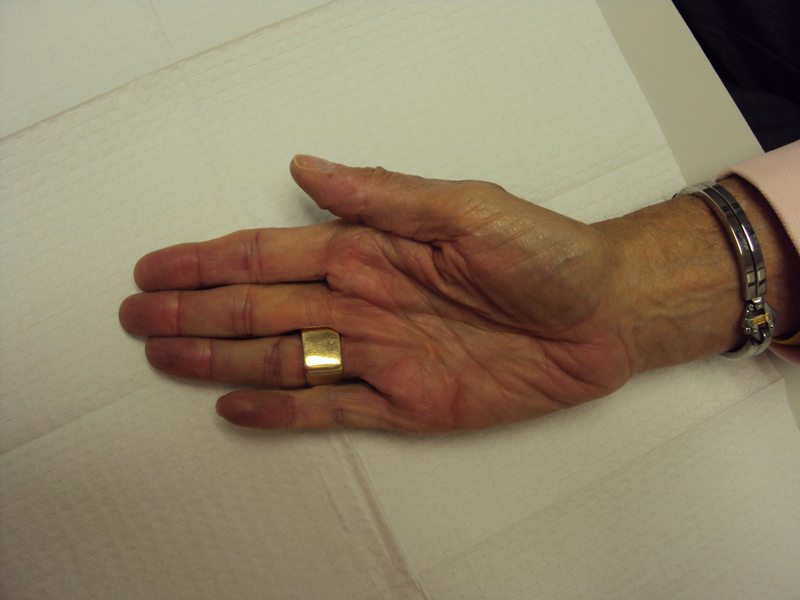 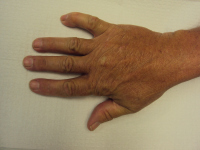 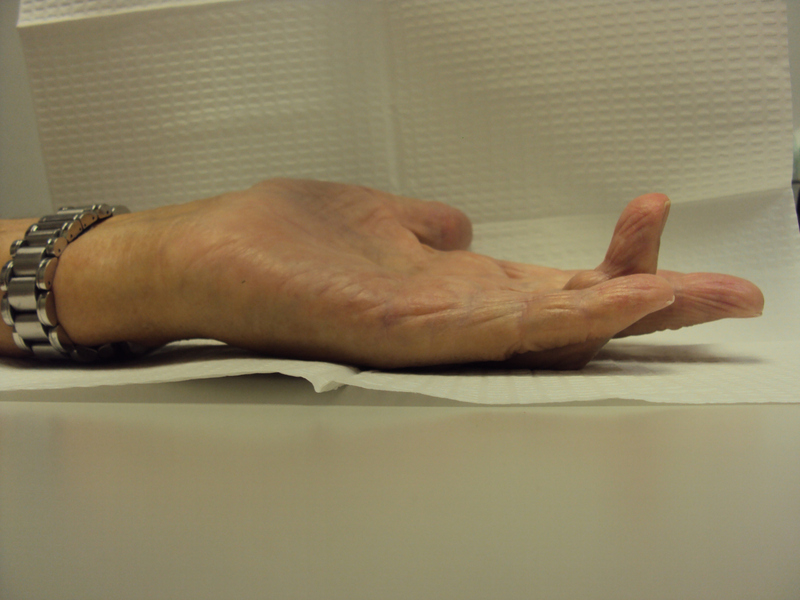 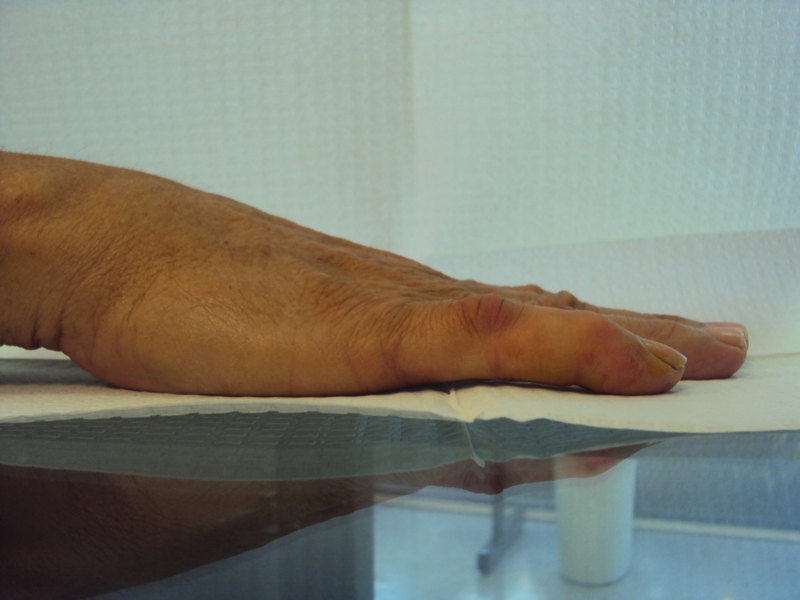 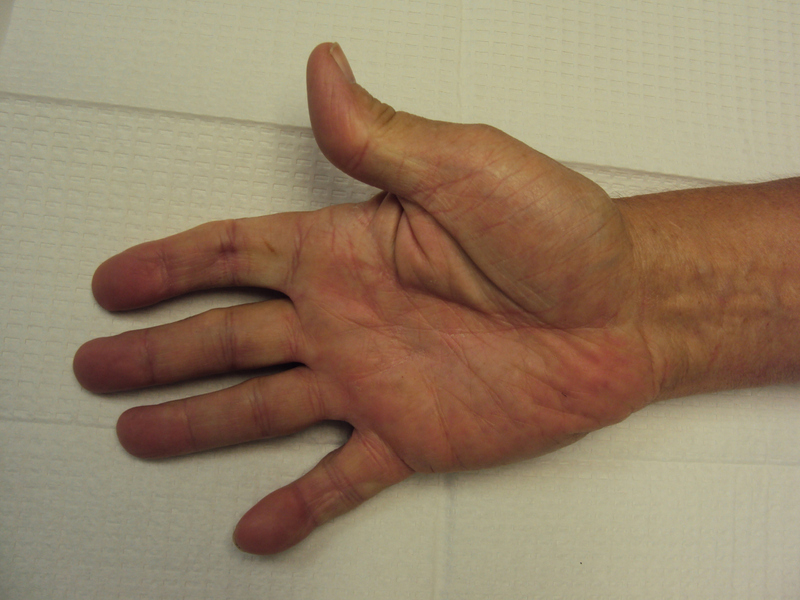 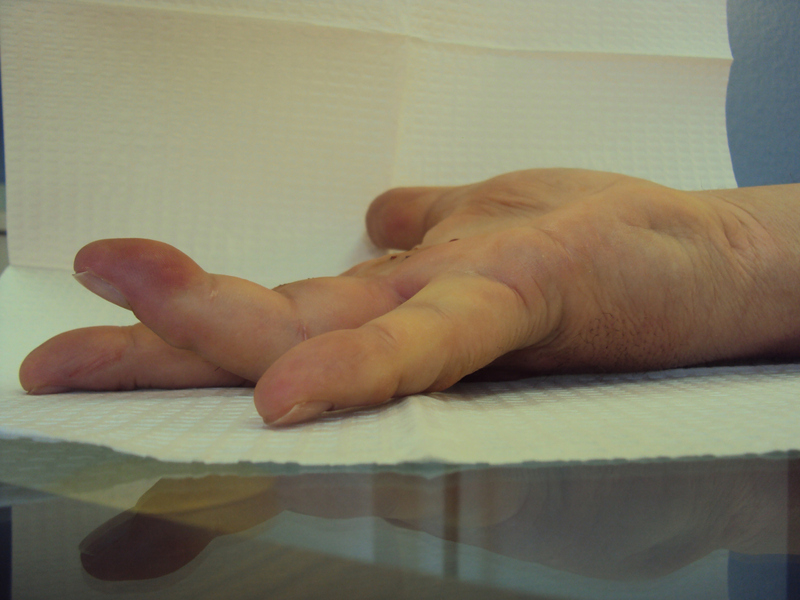 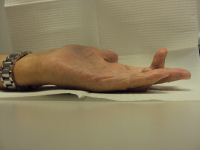 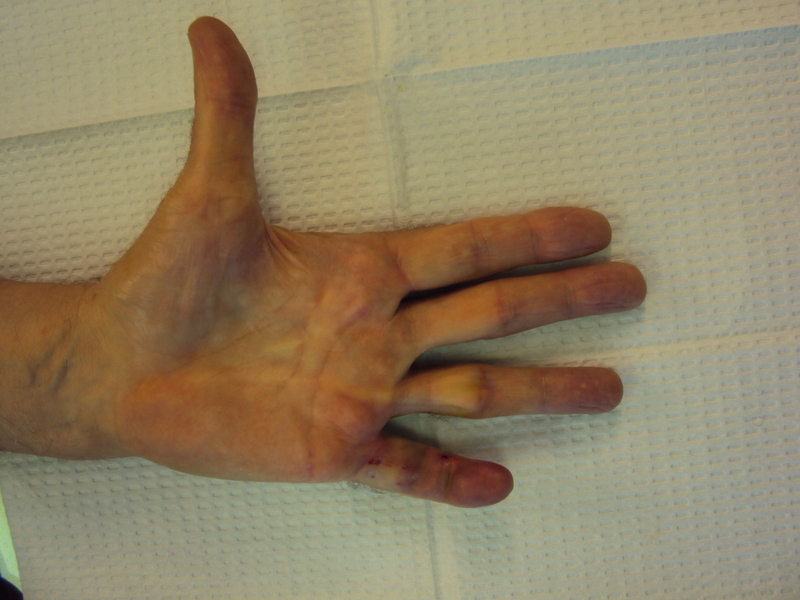 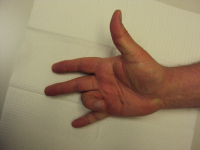 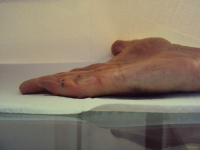 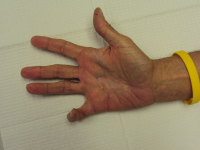 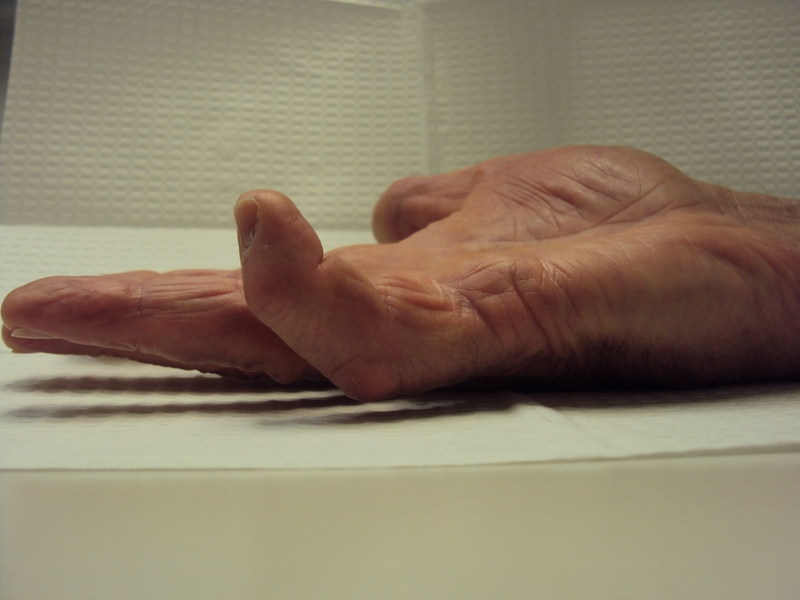 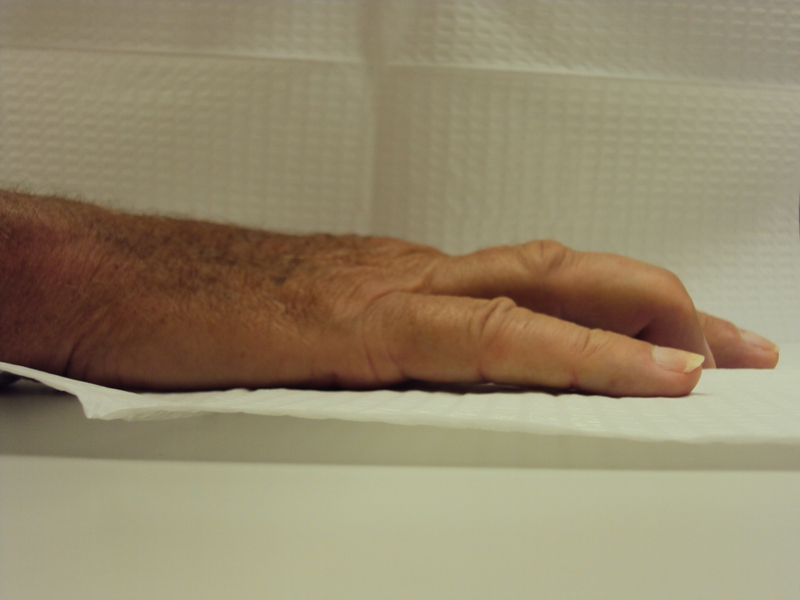 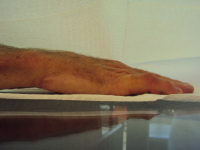 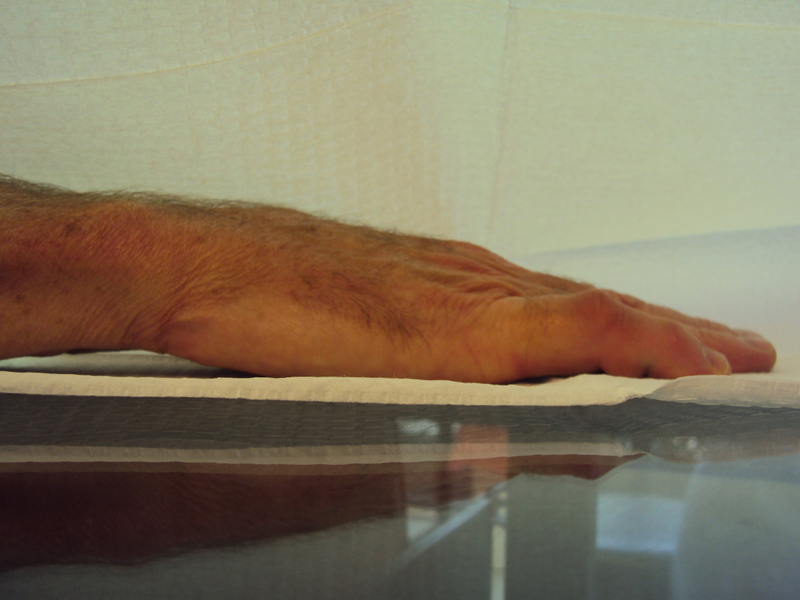 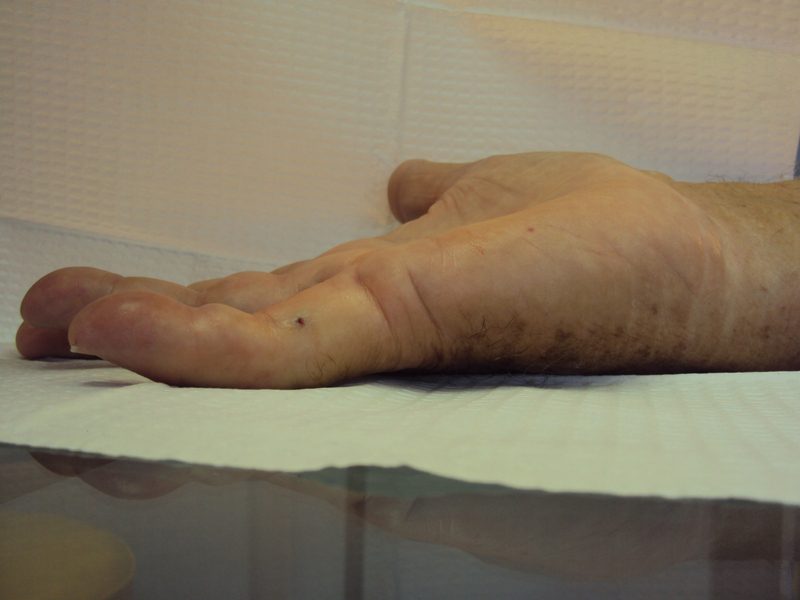 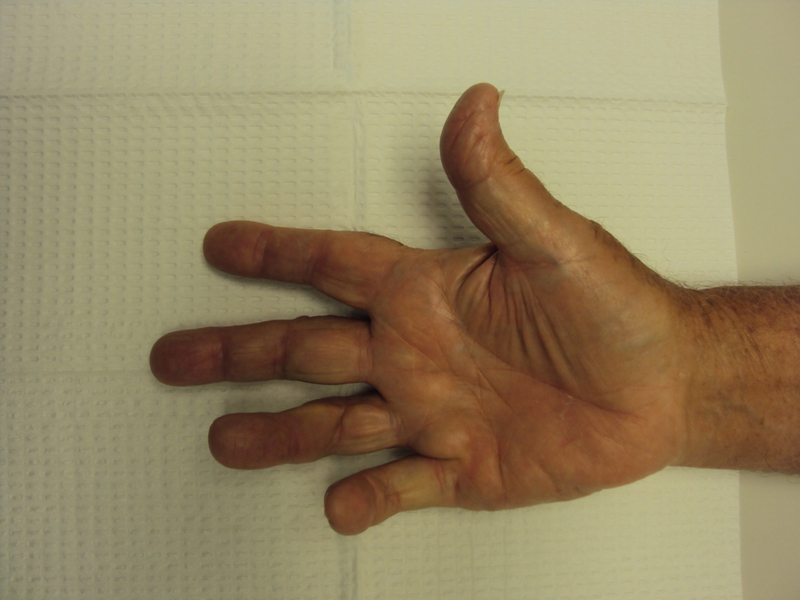 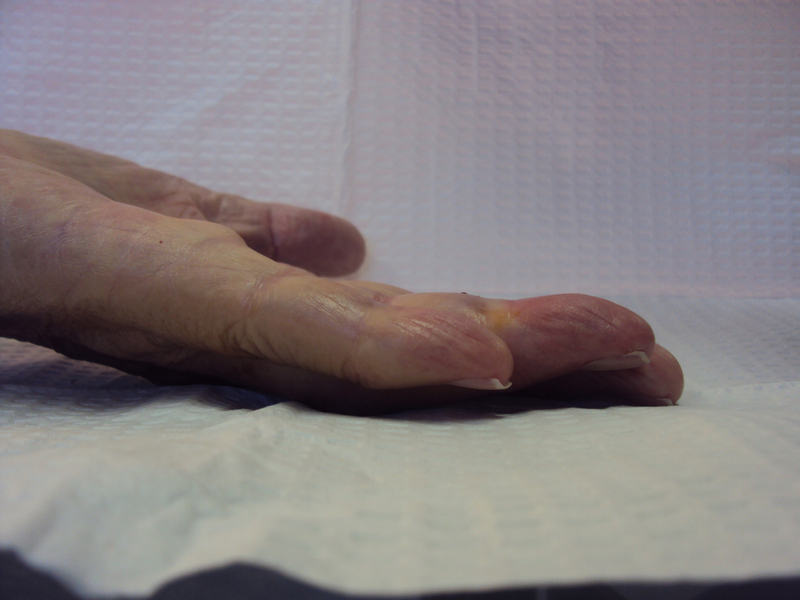 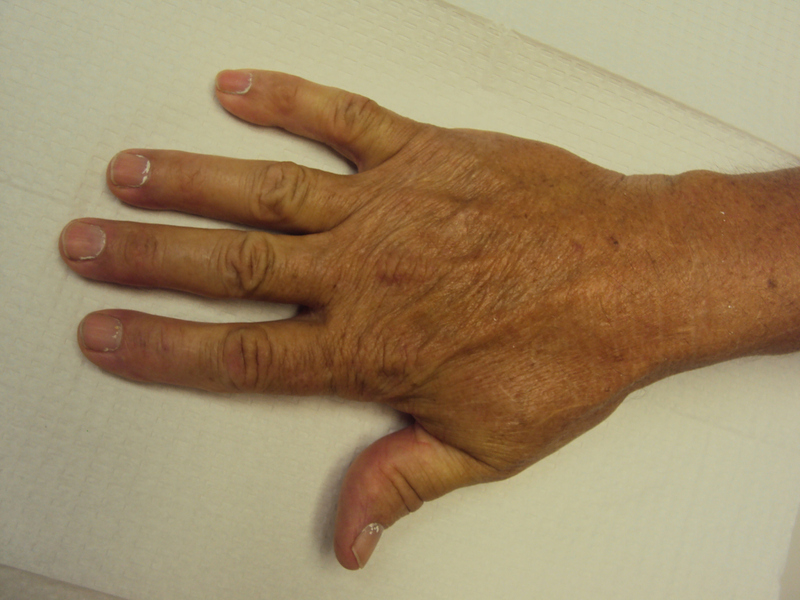 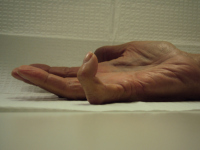 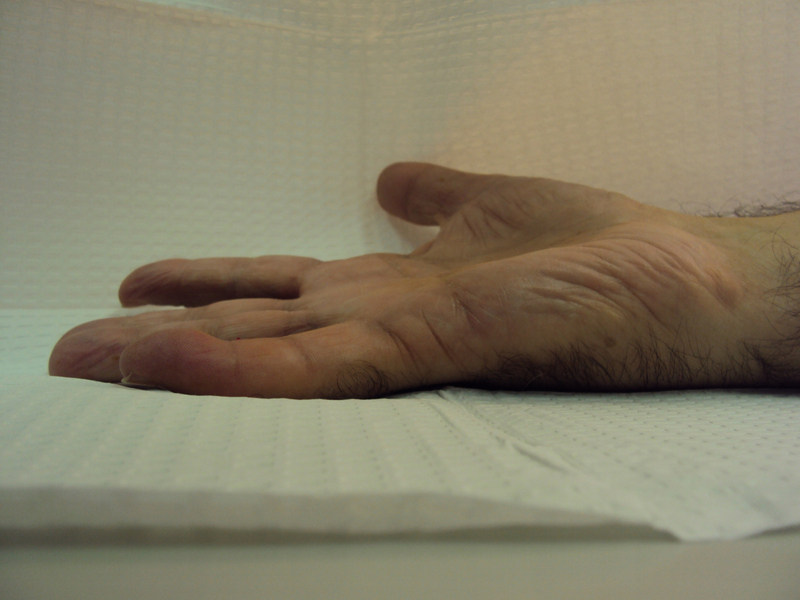 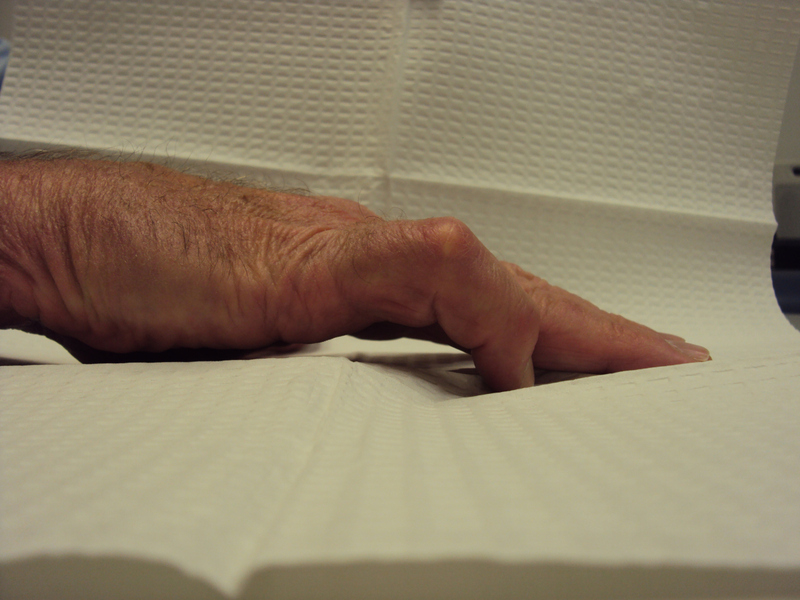 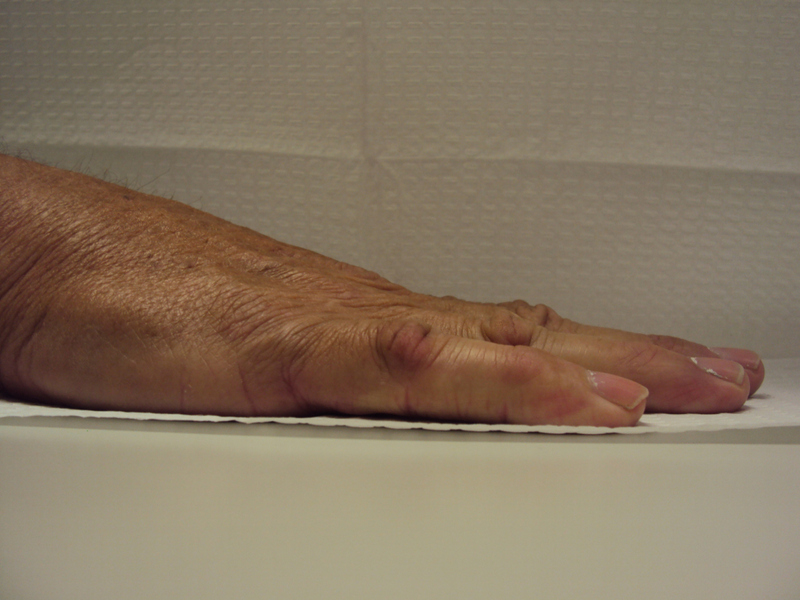 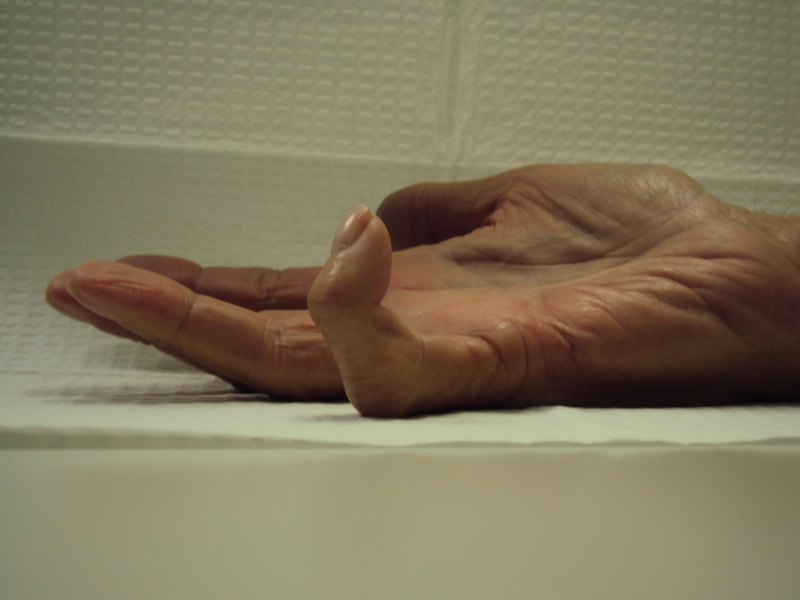 Isolated interphalangeal joint contractures in the context of hyperextensible metacarpophalangeal joints allow patients to defer evaluation until the contracture is severe. 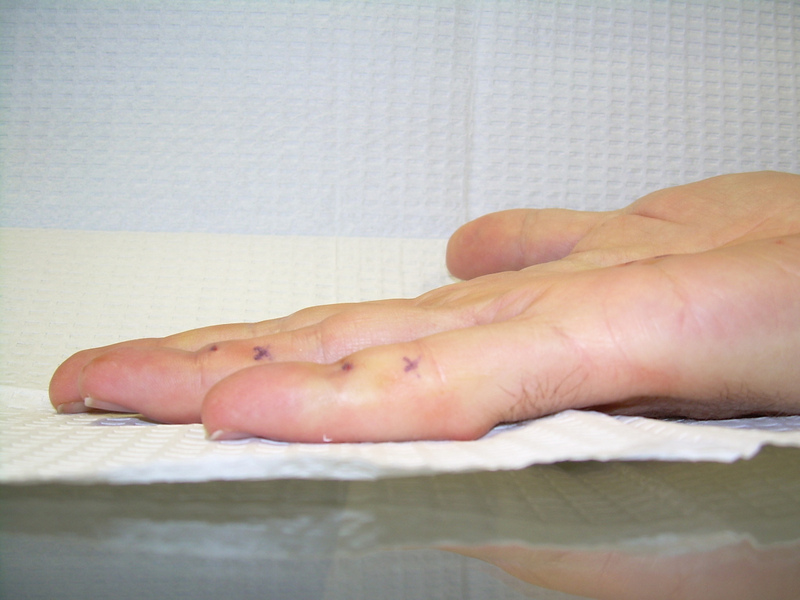 The most common method of treating this is with fasciectomy, but needle fasciotomy may be effective. 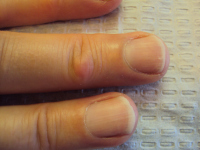 Collagenase has been used for this, but is an off-label application. 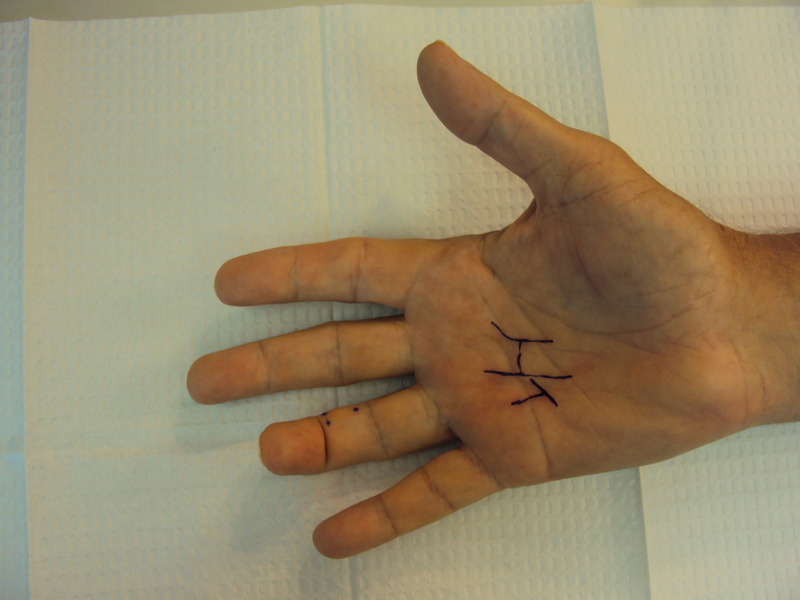 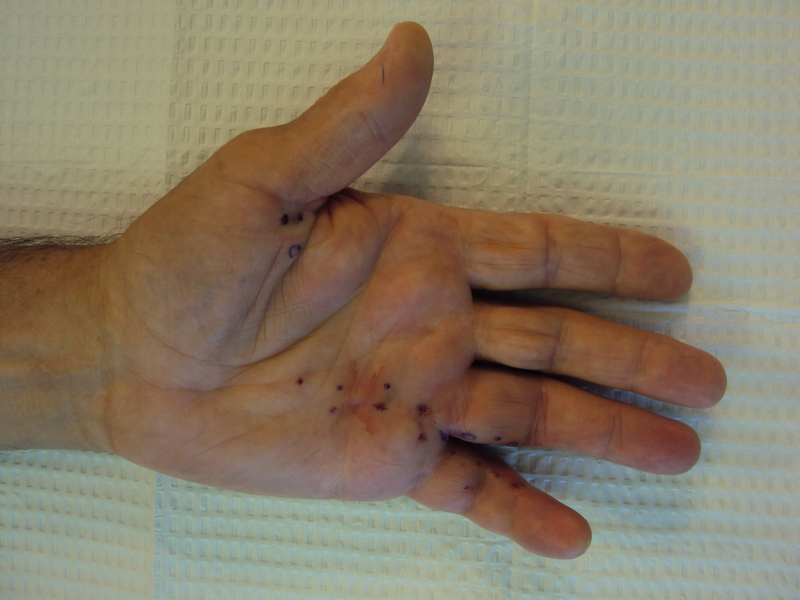 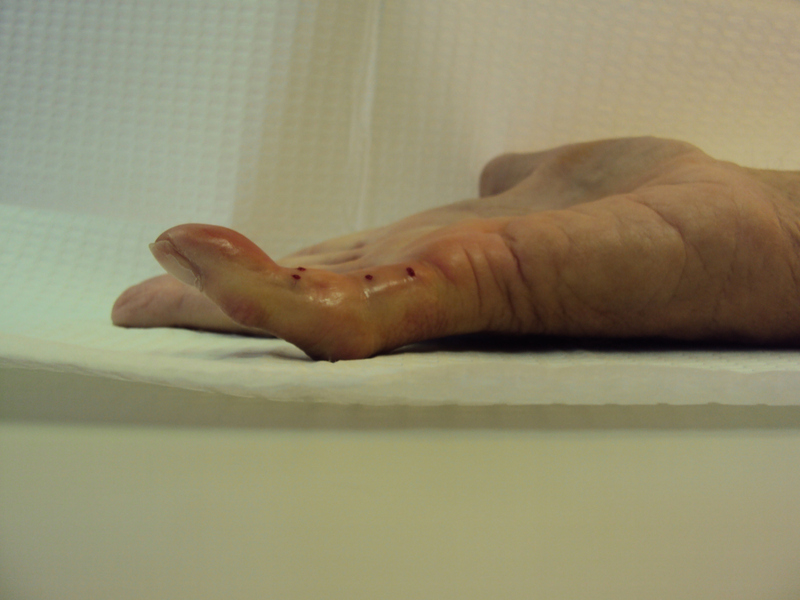 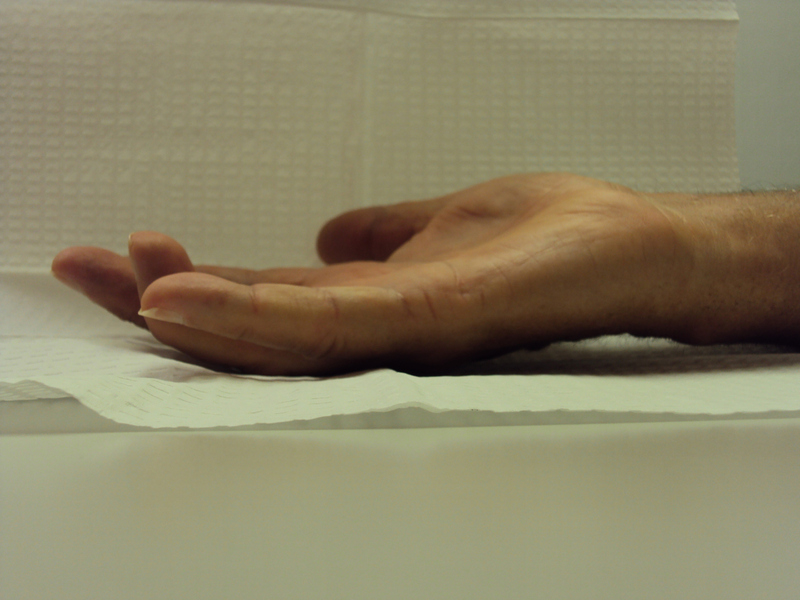 As with needle release or collagenase treatment of the proximal interphalangeal joint, recurrence is expected: these minimal procedures should be considered a temporizing step with expectations of partial improvement. 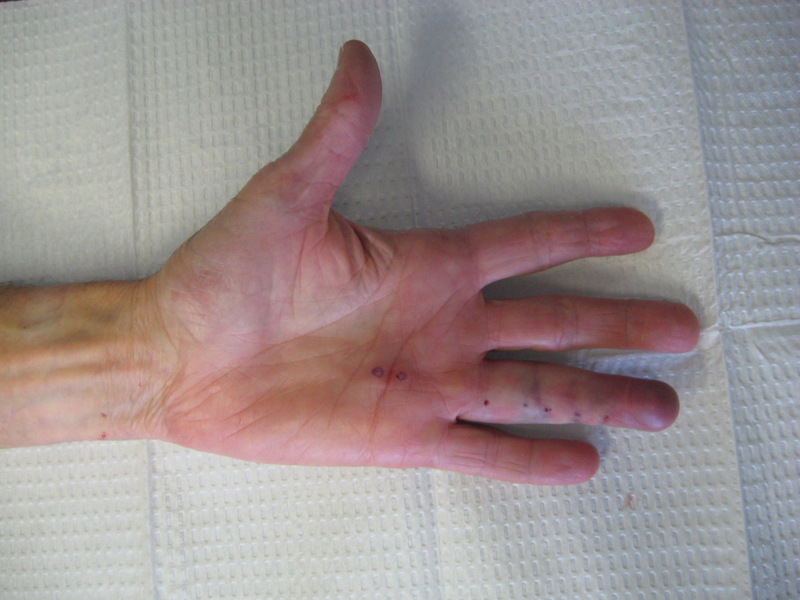 The following are examples of percutaneous needle fasciotomy for a variety of contractures involving the distal interphalangeal joint. 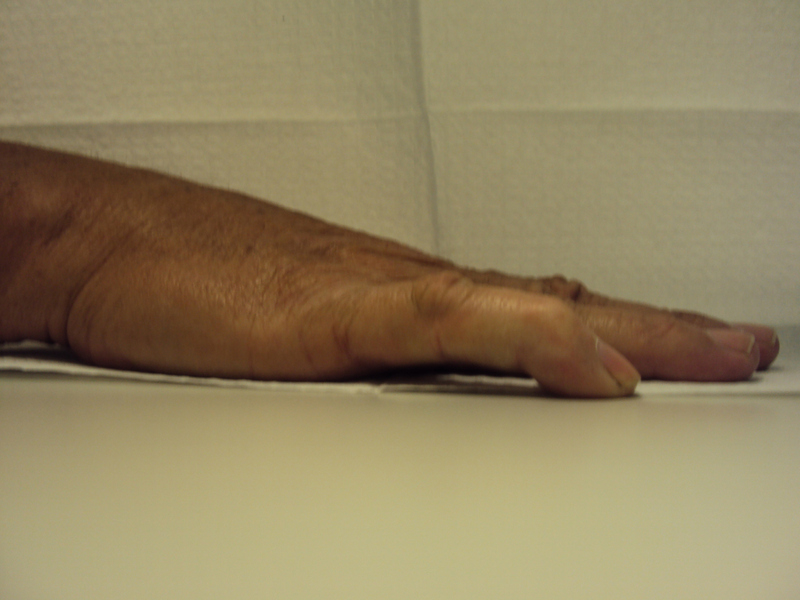 Portals proximal and/or distal to the distal interphalangeal joint flexion creases are used, some bilaterally. 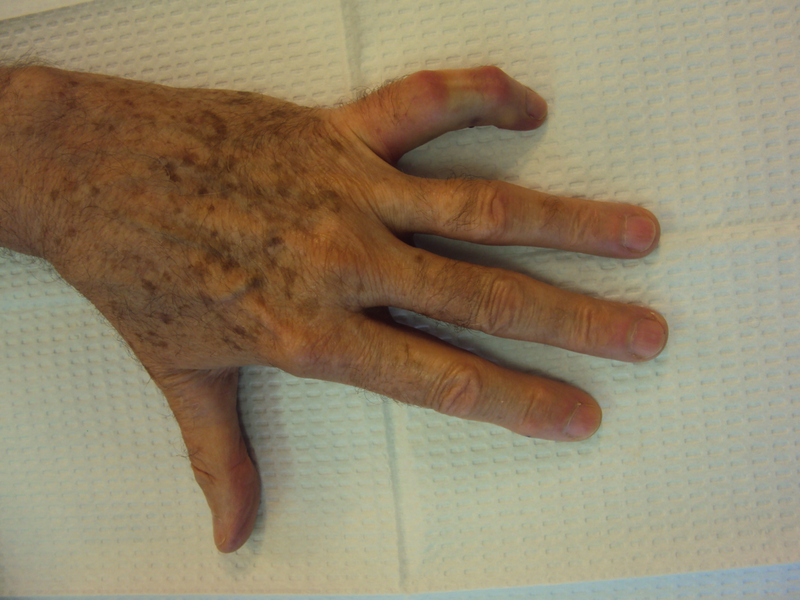 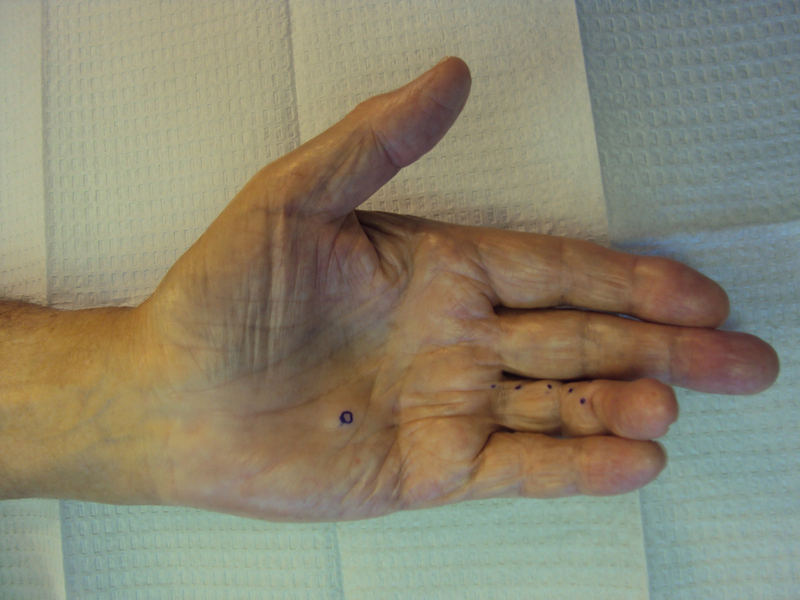 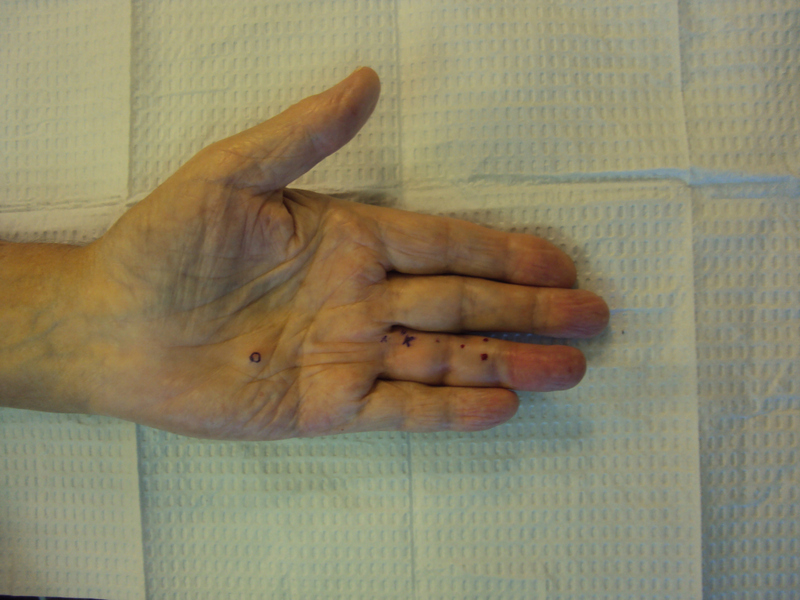 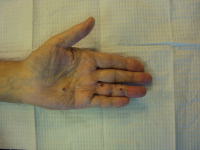 These are presented to illustrate the diversity of even this subset of Dupuytren disease. 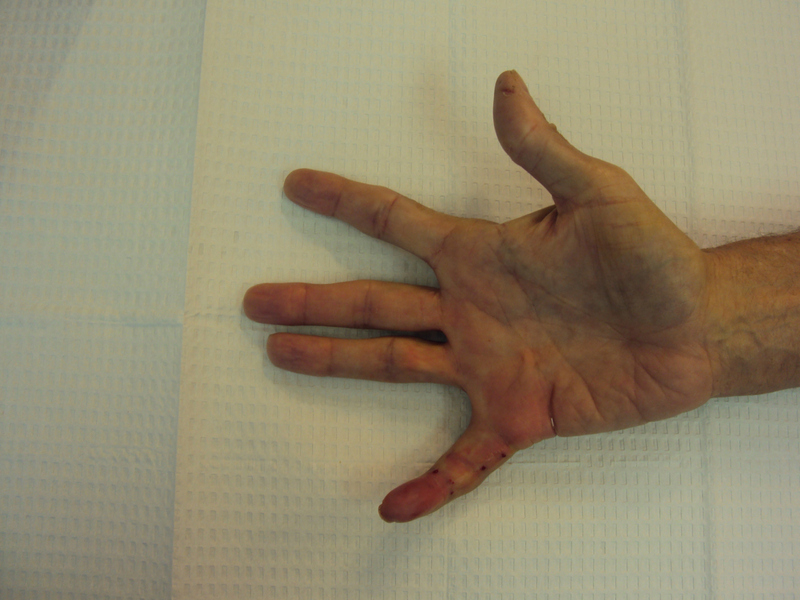 None had prior treatment. 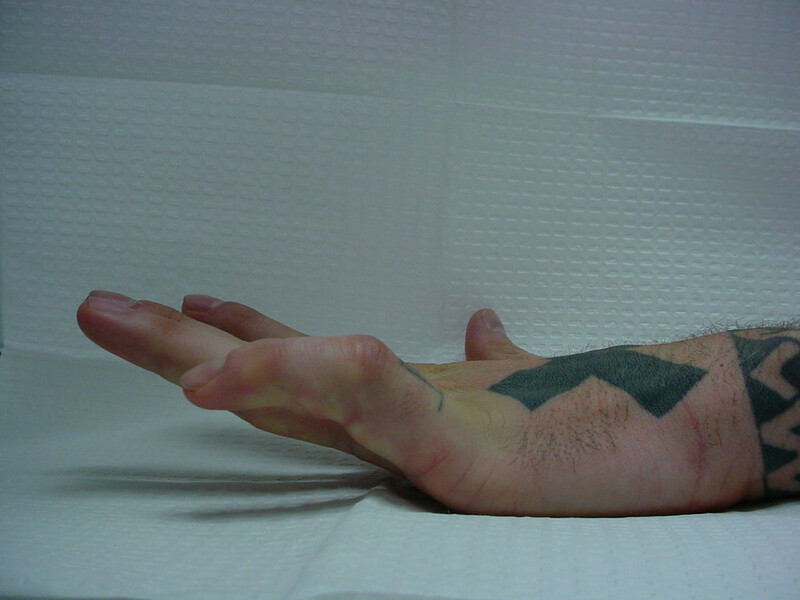 x = portal planned, but not used. 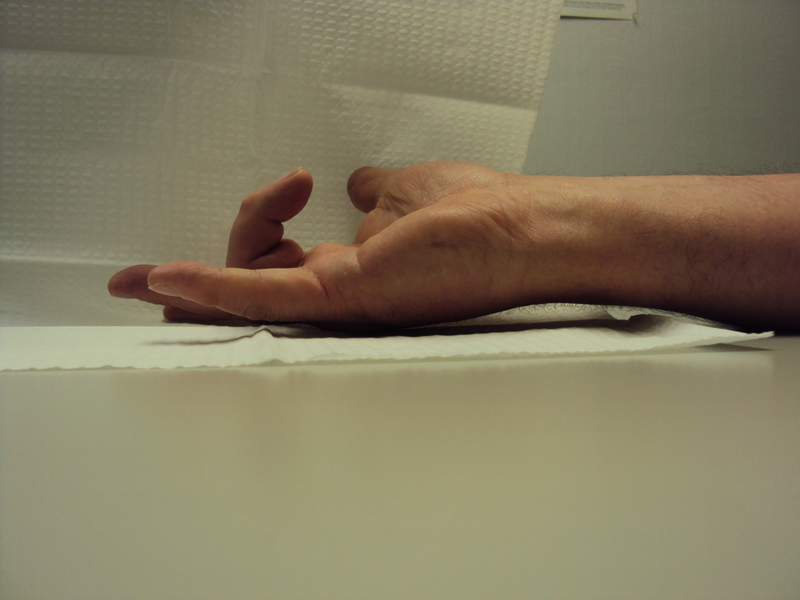 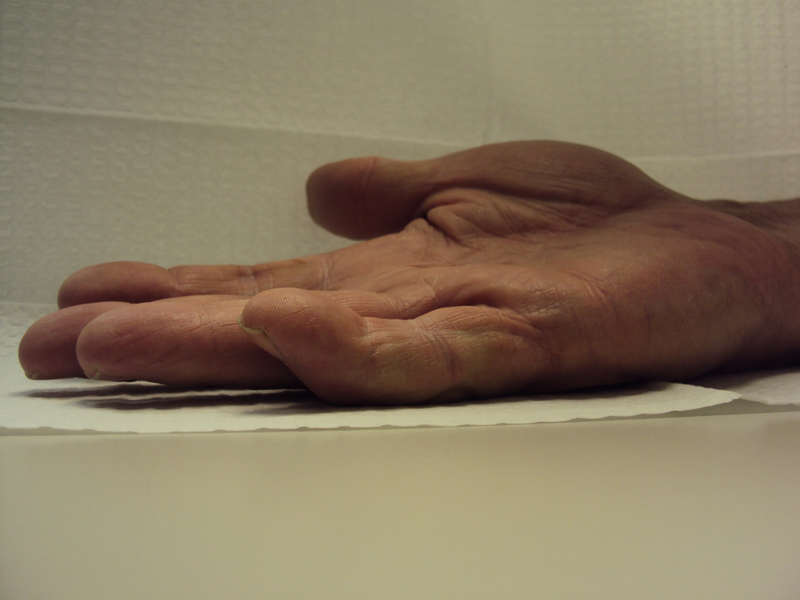 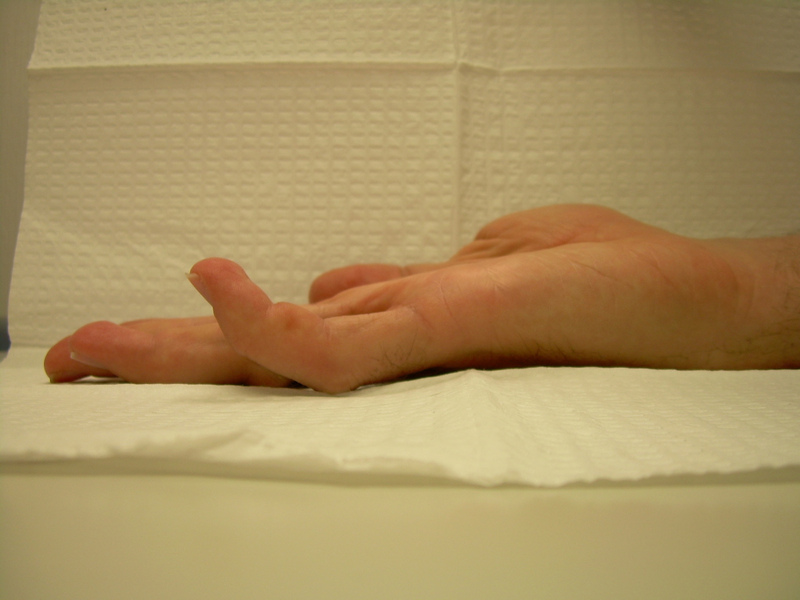 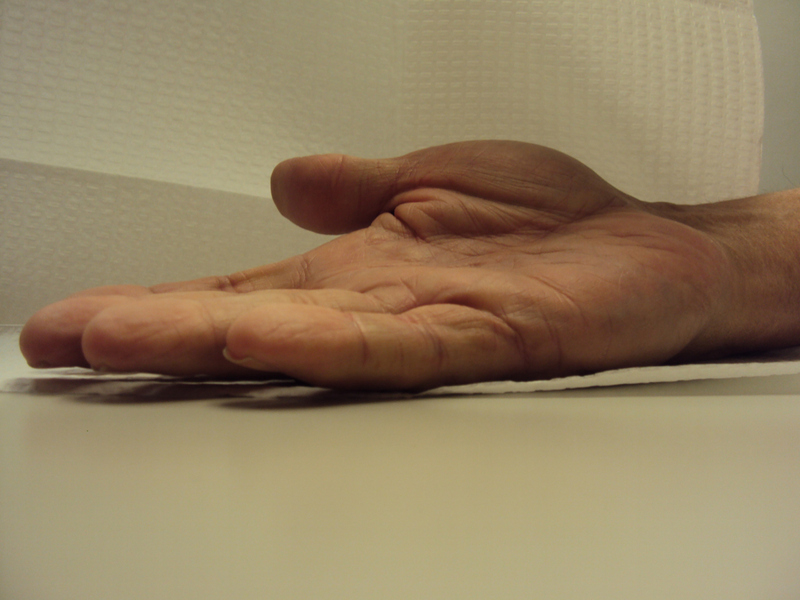 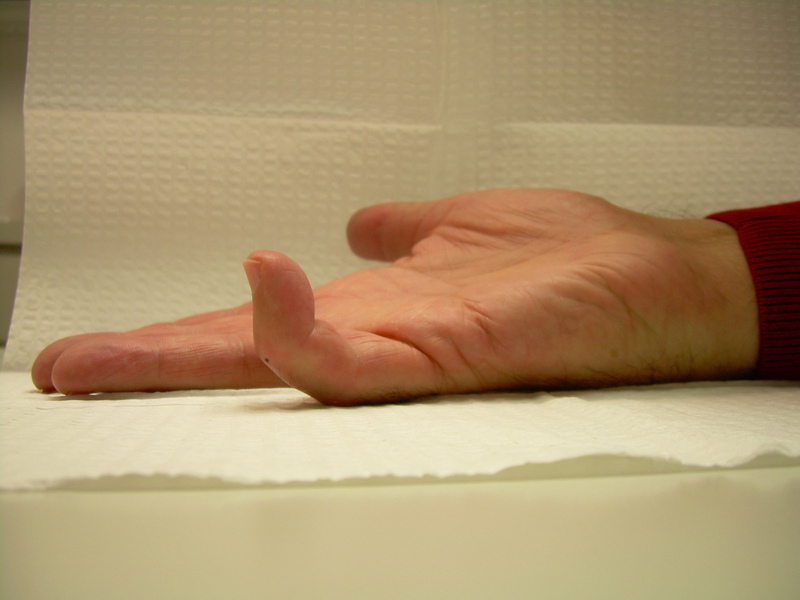 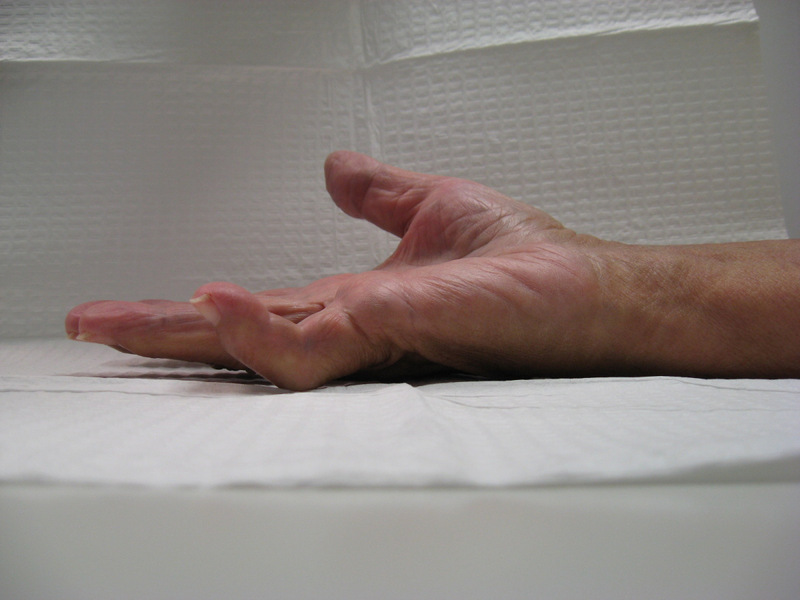 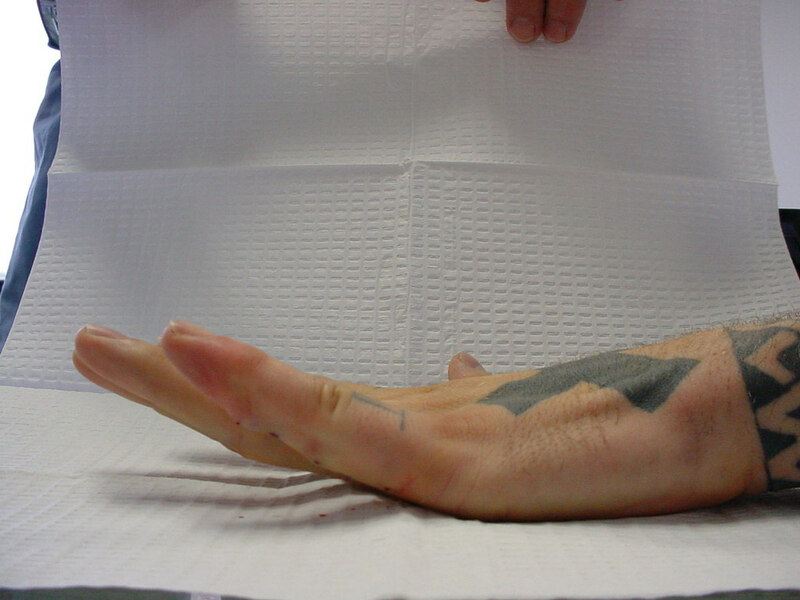 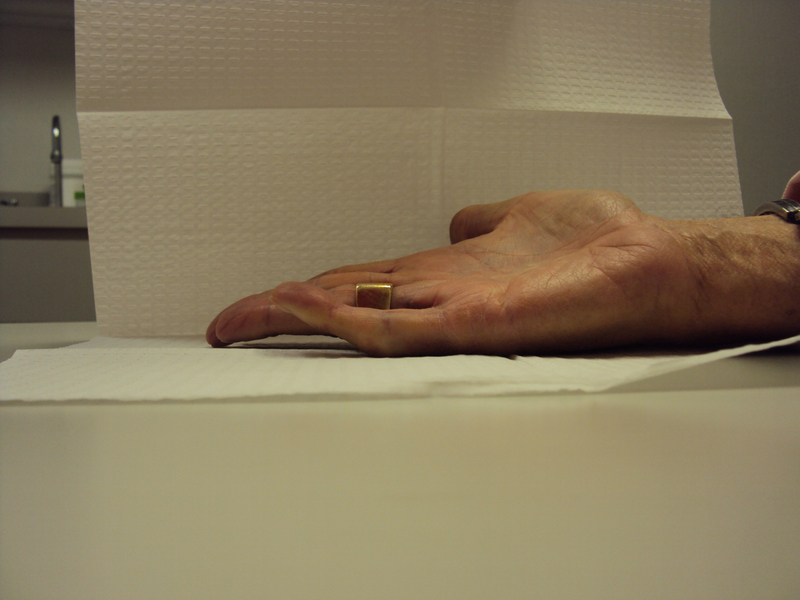 The technique is essentially the same as that for isolated PIP joint release, as shown here. 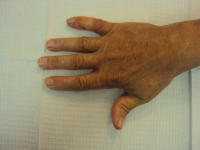 proximal and distal interphalangeal joint contractures. 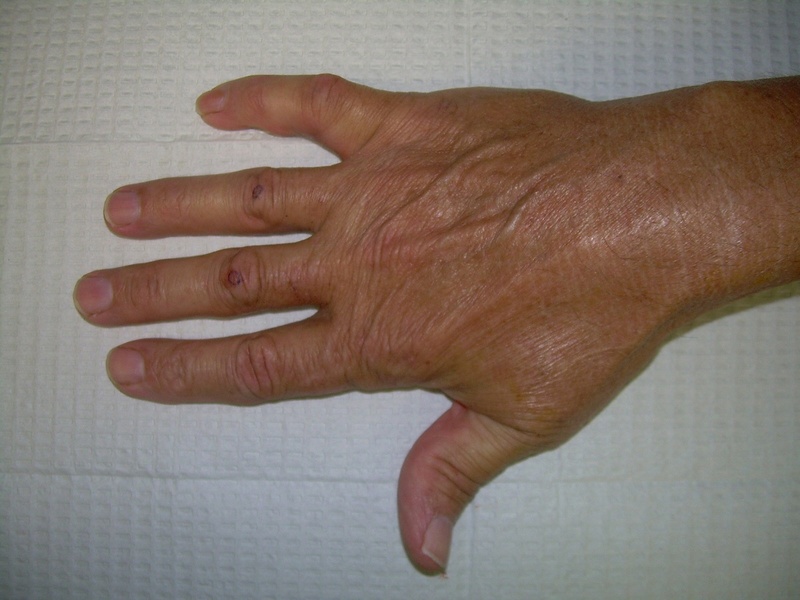 of left small Dupuytren disease. 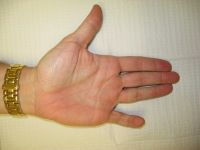 Partial recurrence three years later. This was treated with a repeat release. 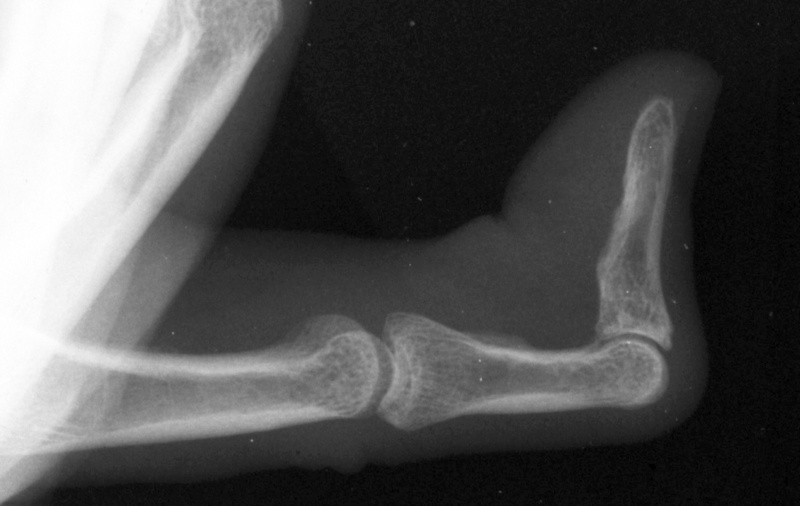 Radiograph of affected finger, 90° contracture. 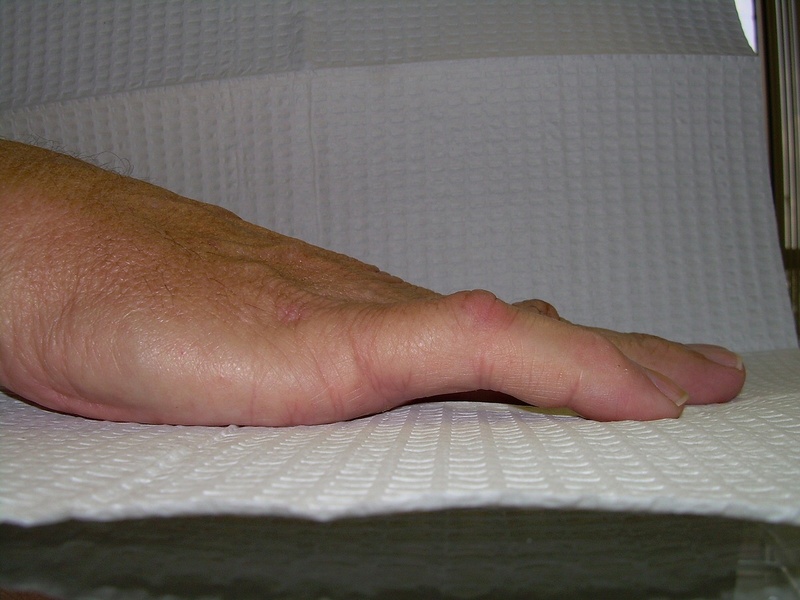 splint. 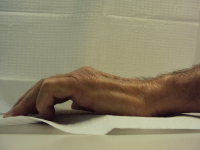 He had progressive improvement. 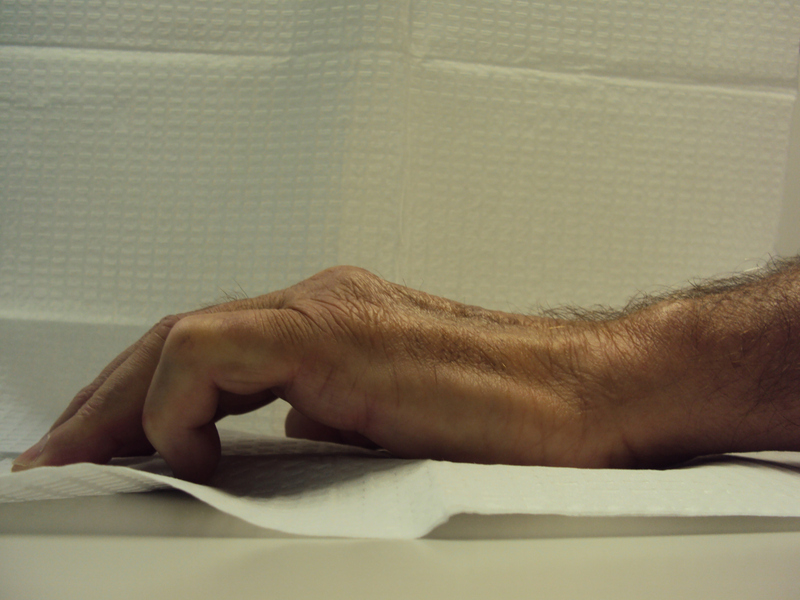 18 months later, improvement persists. 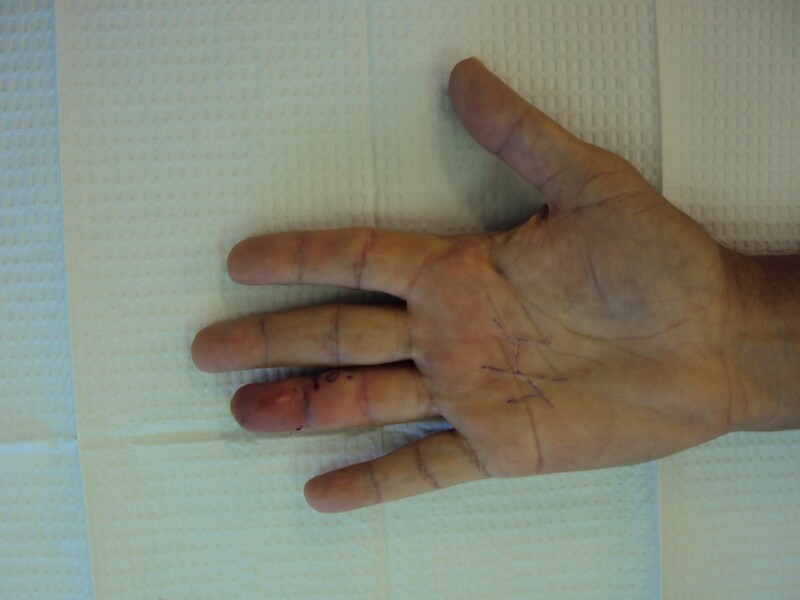 five years ago. He now has bilateral contractures, worse on the right. 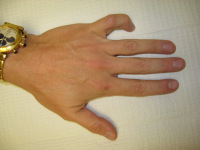 become noticeably more contracted in the last six months. 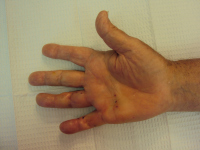 Recurrence four years later treated with repeat release. Six weeks after second procedure. 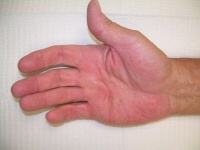 history of bilateral disease, worse on the right. 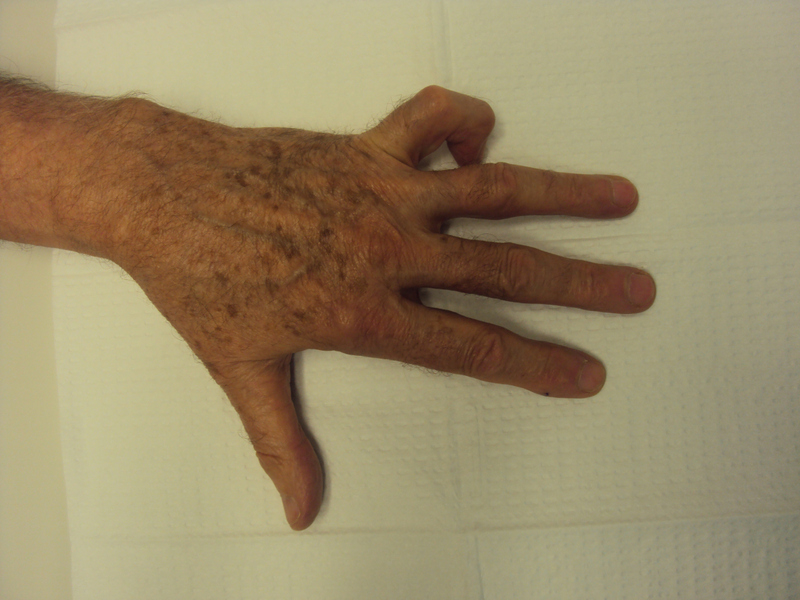 history of Dupuytren disease of his left hand. 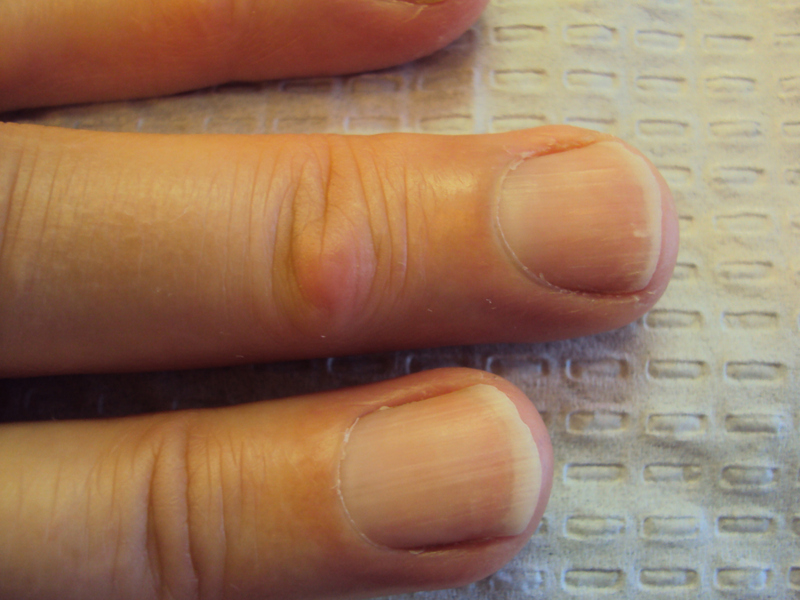 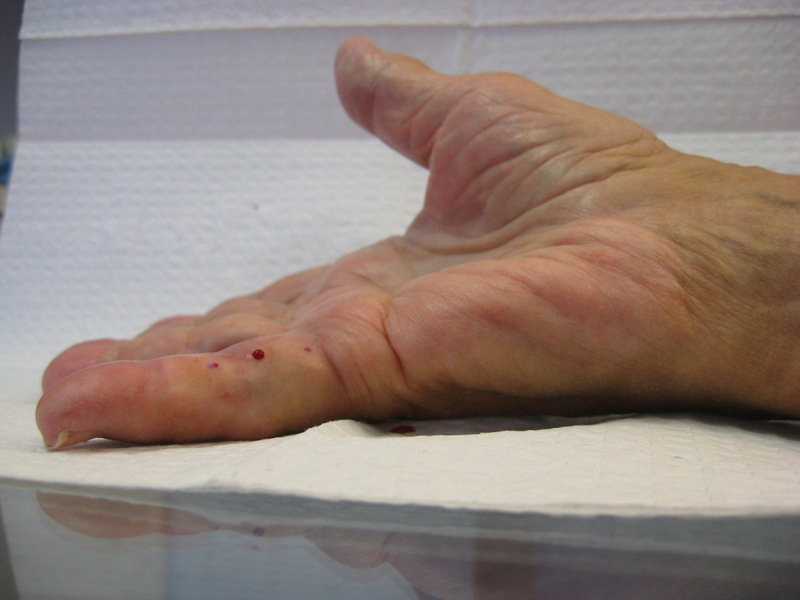 history of right small finger disease. Continued improvement, now five months postop. for 3 years, stable for the last two years. 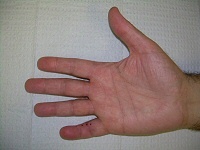 left small finger Dupuytren disease. 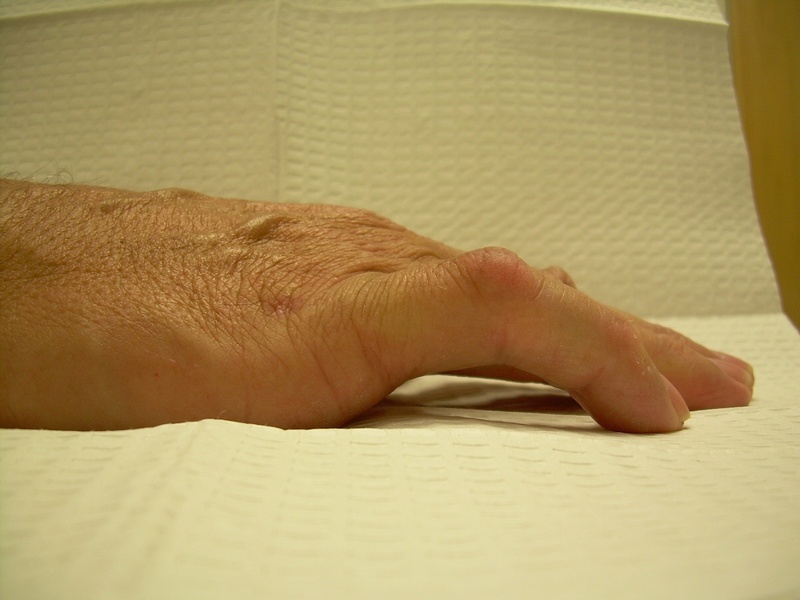 His finger catches on everything. bilateral disease for 5 years, worse on the left.